Having taken two of three at home, the San Francisco Giants are now one win away from their third World Series title in five years. 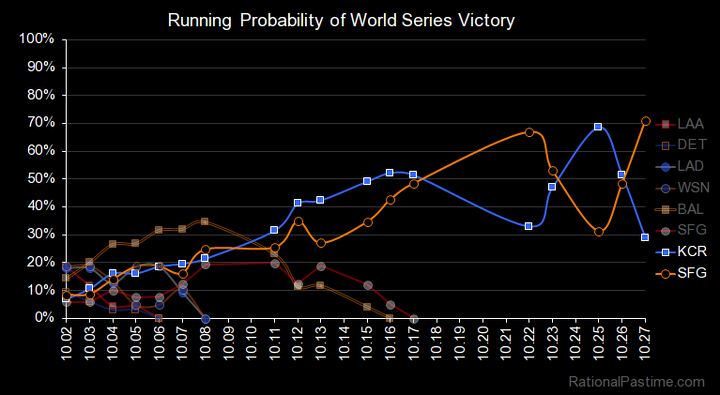 Yesterday's game was only the third after which Madison Bumgarner & Co. led the World Series Probability standings, and their claim on the top spot represents the third time that the top spot has switched between them and the Kansas City Royals. The Giants lead the Royals even though their position is substantially hamstrung by Kansas City's home field advantage in the remaining games. Facing elimination in Game 6, the Royals are now 7-3 underdogs. They'd be even worse off if it weren't for the fact that the elimination game will take place in Kansas City; home field advantage confers upon the Royals a 10% better chance of completing the comeback. 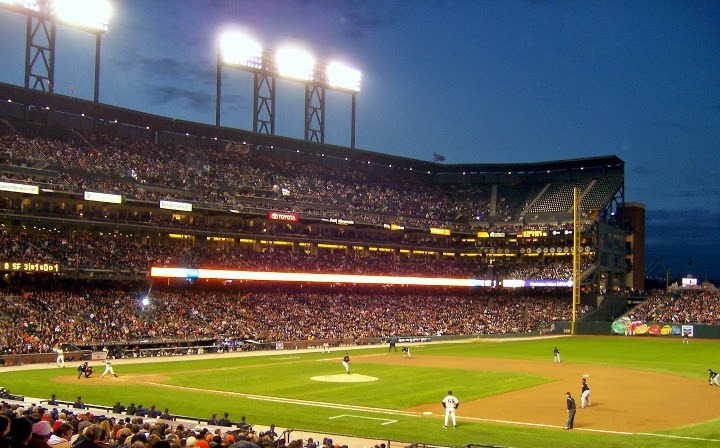 Had the Series taken place in San Francisco, the Royals would be worse than 4-1 dogs. The Royals' play of late hasn't helped their numbers, either. 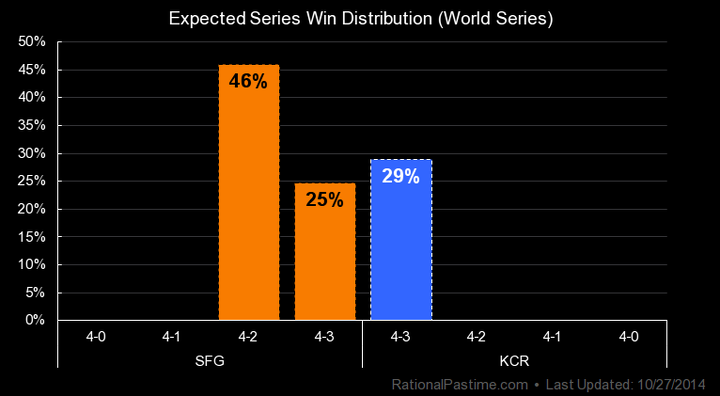 San Francisco's dominance since their comeback in Game 4 has boosted their Power Score and depressed Kansas City's. It's obvious now: the Giants' best bet is to finish off the Royals tomorrow, while the Royals need to force a seventh game. That seventh game will favor the Royals, unless San Francisco manages to seriously (and improbably) improve their relative Power Score in a loss on Tuesday. It's slightly worse-than-even that San Fran will finish off Kansas City in Kauffman the first chance they get. Should Kansas City stave off elimination at home on Tuesday Night, I'll be back on Wednesday to preview Game 7. Otherwise, keep a lookout for a recap of a victorious Giants postseason later in the week.